"My word... What a magnificent locale..." Alicia muttered, the girls eyes remaining glued to Yulema City as they grew ever closer to the base of the border. "Everything's so shiny... Even more than that other city was..." Rose point out. "Millennium City." Chris reminded. "I say one thing for humans, they can make nice looking place." Serenity admit. "You're just looking at it from a distance, just you wait until we're making our way through it, all the buildings up close and stuff. The decorations along the streets, the shops and all, you think it looks great now but just you wait." Chris grinned. "The whole time we're in this city, all the lights and decorations you see, all the people that are celebrating and being happy and stuff... I want you girls to think about how, in my heart, that's exactly how it looks and feels every single day we're together." he nodded, the girls looking at him curiously. "Heading into this town, it's gonna be like you're taking a trip right into this ticker of mine, you'll get to see and feel everything I do, every day, for yourselves. I hope you enjoy it." he winked as they looked at the city again. "I get it... Just like how you explained it in the..." Rose replied, pausing as a small blush appeared on her face and she fidget. "Back in the cave? Yep... I think this will be a much better example though!" Chris smirked. "I hope the way the city and the people look is how I make it look and feel in your hearts too of course, even if I do get on your nerves sometimes." he added with a nervous laugh. "Oh come now." Alicia scowled. "Yeah! You might be kinda immature, but in a way I think it's part of what makes you innocent and sweet in its own way." Rose assured. "Oh, so it makes me pure after all huh?" Chris grinned smugly, looking at Ho-Oh's feather in Serenity's hand again. "I don't think anybody is saying that." Alicia affirmed. "Bah, whatever." he replied, giving her a "nyeh!" in response, the snake doing the same. "You both immature." Serenity point out. "Like you're one to talk." Alicia scoffed. "I think we all are in our own ways. It's what makes us work so well! At the end of the day, I guess we're all dorks!" Chris laughed. "Excuse me? You're calling ME that?" Alicia scowled. "Yeah! Who you call dork?" Serenity asked, giving him a poke. "Oh come on, you know it's true. We all have our moments." Chris affirmed. "Like when Alicia slipped on the ice, and when you got scared by the fire snapping..." he reminded with a sly grin, making both blush and face away embarrassed. "Y-You shut up. Fire tricky." Serenity muttered. "So rude. You lured me on that ice in the first place." Alicia added. "And lets not forget... A certain somebody got her little tongue stuck to another Pokemon..." Chris point out, causing Rose to flush and groan. "Sh-Shut up!! That's mean!!" she whined, causing him to laugh. "And what would you do if we decided to list everything YOU'VE done to make a dork of yourself?" Alicia asked. "Yeah! You do WAY more dork things than us!" Serenity agreed. "Y-Yeah! That's right!" Rose nodded. "Hey, at least I admit I'm one." Chris smirked smugly with his nose up, causing the girls to grumble. "Only you would be proud of being a dork." Alicia replied. "Bah, whatever." he waved. "At least it makes life fun when you're a goof." he added with a chuckle. "Come on, even when we've been clumsy in our own ways, don't you think it made for good memories?" he asked, the girls looking at one another. "...I suppose." Alicia nodded. "Well there you go then. At least we've had fun, even if it's at our own expense sometimes." Chris affirmed. "You for most part though." Serenity point out. "Hey, we're not keeping count." he scowled, the girls giggling as Serenity gave him a nudge. Continuing along, the group soon found themselves entering a rustic village which took its name from the city called Yul Town, full of cabins and cottages that sprawled out along the base of the mountains, acting like a border of its own to Yulema City as they trot along the cobblestone road that made up the paths between buildings. "This place is kinda pretty..." Rose point out, looking at all the homes and shops around them with windows glowing in the ever darkening twilight hour. "It's old fashioned, I like it. Reminds me of back home." Chris smirked, looking at the street lamps glowing as they passed by. "A quaint locale to say the least. I failed to notice it when we were closer to the peaks." Alicia added. "Well, it's pretty tucked in here. You probably wouldn't have been able to see it if you tried with the trees and stuff. I guess you might've seen the smoke from the chimneys but the forest practically swamps this place." Chris explained. "It's like the calm before the storm when you think about it. Once we get through here we'll be in Yulema at last!" he grinned. "Back with bunch of humans..." Serenity muttered while looking around with her arms crossed at the residents strolling along, many taking notice of the group and watching them pass by curiously. "Oh come on, we had a nice break in the border. Just focus on the fun we'll have, not on who we'll be around!" Chris encouraged, giving her a nudge. "Is there any particular reason we're drawing such attention though?" Alicia asked. "Eh? Say what?" he replied before looking around, noticing the people watching them. "I dunno, maybe it's the carriage? I guess it is kinda ritzy." he added. "The humans are starting to look at us from the windows too..." Rose point out warily. Looking around, Chris raised a curious eyebrow and shrugged. "Maybe it's...!!" he began, cut off when the carriage suddenly stopped causing the group to jolt. "E-Easy there! What's wrong?" he asked, looking at Rapidash only to find the horse looking down nervously at kids that had gathered in their path. "I've never seen one like this before! Look at the fire!" a little boy point out. "They call this a shiny one, right?" another asked. "Its so pretty... Like the fire is frozen too!" a girl added. "So maybe instead of burning, it freezes? I dare you to touch it!" one boy dared another, the statement causing Rapidash to let out an agitated grunt making the kids jolt and inch back. "I wouldn't get so close kids, he really doesn't like having folks in his space." Chris warned with a nervous smile, the kids blinking at him curiously before gathering around the drivers seat. "It's just like on the TV, he's got the coat and everything!" a boy point out. "Check out the shiny medal too, straight from a Captain..." another muttered. "Shouldn't his arms be a little bigger? He looks kinda skinny..." a girl point out, causing Chris to scowl slightly while the girls snickered as another boy asked if he really lift a ship. "Say! Look at their eyes!" a boy chimed in, the kids looking at both him and Serenity closely. "Wow... I wonder if doing that hurt..." a girl muttered before the kids started gossiping among themselves. "Well, you certainly seem popular among children." Alicia point out before jolting when she noticed kids climbing up to the windows. "Ooohhh, speaking of eyes, look at THIS one!" a boy grinned. "I've never seen one of these in person before, it's so big..." another muttered as the snake looked at them all. "It's eyes are kinda scary up close... It looks like it wants to eat you..." a girl point out. "Maybe it thinks girls are tasty!" a boy teased, making the girls back away nervously. Hearing this, Alicia uncomfortably averted her gaze, having been hit in a sore spot from having her eyes point out. "Okay kids, come on now." Chris coaxed, making them back away from the windows. "You know, it's not nice to talk about a person like that." he affirmed. "Person? Say what mister?" a boy asked blinking at him curiously. "You know, I always thought those Lopunny's were kinda sissy, but they're good in a battle! I might get one too when I'm a trainer!" another grinned, suddenly focusing on Rose as the rabbit smiled nervously, the kids gathering on her side of the seat. "You have to give it lots of love to evolve though!" a girl giggled, causing the boys to let out a "blech!" in response. "That's icky, just use a stone!" another affirmed. "They don't evolve with stones stupid! You gotta love it!" a second girl lectured. "That's why it's a sissy Pokemon..." one of the other boys grumbled as some tried to reach out and touch Rose's ears, making the rabbit warily inch toward Chris. "You know kids, there's nothing wrong with loving the people you travel with, it can help make someone a lot stronger!" he explained, the kids blinking at him again. "How come you keep calling them people?" a girl asked, making him pause with an "eh?" before looking at Serenity and Rose, the two facing down silently the same as Alicia behind him. "Well, uh, it's because Pokemon ARE people, just like you and me." he smiled, nodding at the kids. "That's kinda weird..." a boy point out. "People are people, Pokemon are Pokemon, everybody knows that. It's what the teachers say." a girl smiled. "W-Well, guess we all have our own opinions..." Chris laughed nervously. "I just like to think there isn't anything different about us. We might look different on the outside, but inside we're all the same!" he assured. "But... All the guts would be different, right...?" a boy argued, causing the girls to groan and complain from the remark. "I-I didn't mean it like that." Chris sweat slightly. "Is it really true that Pokemon is dangerous?" another boy asked, pointing at Serenity, the Pokemon glancing at the child before looking away. "You mean Serenity? Ha! No way. She's a little rough on the outside maybe, but deep down she's a total sweetheart!" Chris grinned. "Didn't she try to kill that Gym leader on TV though? How come she looked so happy when you tortured those guys on the ship too?" a little girl asked. "W-Well uh, it's complicated kids." Chris explained, scratching his cheek with a nervous look. "Are you a good guy or a bad guy?" another boy questioned, catching Chris off guard as the girls looked at him uncomfortably. "Kids sure are straightforward..." he muttered. "Well, bein' honest I'd like to think I'm a good guy! Though... I guess some might not feel that way." he admit, thinking about his issues with law enforcement. "I do my best to help people though!" he nodded. "Did that Pokemon in the carriage ever eat a human?" a girl asked. "A-Alicia? Eat somebody? No way!" Chris waved. "I dunno, she looked pretty hungry to me." a boy teased, grinning at the girls making them nervous again. Suddenly, Rose let out a panicked shout as some of the kids tried climbing up toward her with their hands out, wanting to touch the rabbits fur and ears. "Did you fellas hear that?" a boy laughed. "She's so squeaky sounding!" another grinned, making Rose groan while rubbing her throat. "Hey! Look what I found!" another shout, suddenly pulling Chris's staff out from under the seat and jumping away, looking it over as the kids gathered around. "I've seen it on TV! Those are the Mega Stone thingies!" a girl point out. "Oohhh, everything's so shiny..." another added while Chris raised his hand. "K-Kids? That's kinda..." he tried to say. "I've never seen that before though..." a boy muttered, poking the Arceus medallion curiously. "It kinda reminds me of a legendary I saw in a book once." another chimed in. "Hey Mr.! What kinda Pokemon is in the ball?" a third boy asked, trying to pull it off the staff. "Th-That's not a Pokemon!" Chris panicked as Serenity finally stood, causing the kids to jolt and freeze up as she float out of the drivers seat and stood before them. "You give back now." she ordered with her hand reaching out, her voice causing the kids eyes to widen. "Y-You fellas hear that?" a boy asked. "P-Pokemon talk?!" a girl added in surprise. "You give now." Serenity repeat, walking up with her hand remaining out. Panicking, the kids gave her the staff as they pulled in closely together, warily standing in front of her as she looked at the Arceus medallion uncomfortably before handing the staff back to Chris and looking back at the kids. "Not nice to take what not belong to you. Not nice to climb on thing that belong to someone else. Really not nice to talk about others way you did. Not nice to get in personal space either." she lectured as the kids started sweating, unable to process a Pokemon speaking to them. "You go now, back to parents. Be good humans." she added, motioning for them to leave in a "shoo" manner. Still dumbfounded by hearing her speak, the kids remained motionless as she returned to her place next to Chris with her arms crossed. "We-Well then, so long kids." he laughed nervously, giving them a wave before uncomfortably ordering Rapidash to proceed. Once they'd made some progress through the village, Chris let out a sigh and shook his head. "Man... Not sure how to process some of that." he finally spoke up. "A good guy or bad guy? Didn't think folks out there really saw me as a BAD person. Though after breaking into prison and stuff, I guess I could see why." he laughed nervously before looking at the girls, all three remaining silent with their heads lowered. "Hey now, why the long faces?" he asked, giving Serenity and Rose a nudge. "They're just kids, they can't help it. There's a kind of bluntness and honesty they have you gotta admire in a way." he point out. "So that means I really do look as though I'd like to eat others?" Alicia asked. "Oh come on, of course not!" Chris scowled. "Kids tend to act that way when it comes to something bigger than them. Back when I was young I thought a Pokemon was gonna eat me sometimes, but like I said before, I trained myself to understand a Pokemon from the inside at an early age." he point out. "Judge by who someone is, not how they appear." he smiled. "So I appear scary?" Alicia scowled. "You know that's not what I mean." Chris affirmed. "You're a good person that happens to be bigger than others. Little kids are gonna be intimidated but they're just KIDS, remember that." he added. "They not think we person." Serenity argued. "They say humans teach them Pokemon just Pokemon, not people." she added. "Well, that's the systems fault for not widening their perspective on things. Being narrow minded never does anyone any good." Chris explained. "I just didn't like being called funny and stuff." Rose chimed in, poking her fingers with a sulky look. "It's like I said, they're just kids, they don't really know any better at that age. They're just really honest. They're not old enough to really understand how to think things through before saying what's on their mind. Keep in mind the boys were teasing those little girls too." Chris reminded. Making their way along, the group continued finding themselves watched by the locales of the village, curious from having someone on TV traveling through their hometown. Finally reaching the border, the cobblestone path continued through the forest ahead of them with a sign reading the city was just a few miles ahead. "We're pretty much at the base now, once we get to the end of this road we'll be at our goal!" Chris grinned, noticing the girls still looking slightly sulky. Scratching his cheek, he let out a sigh as they moved on. "You know, you can think of that as practice for the reporters." he point out with a smile, causing them to let out a collective groan. "G-Guess that's not the best way to encourage..." he muttered. "L-Look girls, there's a LOT of people out there that look up to you, that admire you and adore you... Don't let one little bunch of kids make you all gloomy." he coaxed. "What about the kids back in they city? They loved you! Everyone at the mansion did too! And those on the ship... Those kids back there live in a tiny snow-covered town that's pretty isolated from everything. Meeting you girls was just a new experience for them! Plus, maybe hearing what I said will make them rethink some things in the future. You never know." he smirked as they looked at him. "No matter what anybody says or thinks, you girls ARE people, really cute..." he paused, nudging Rose. "Totally beautiful..." he added, nudging Serenity. "And beyond hot, one of a kind people." he finished, looking back and giving Alicia a wink. "There's nothing in this world that makes a Pokemon any less of a person than humans, it's just a matter of what somebody might personally believe and try to push on others. Just because somebody might THINK there's a difference, that doesn't make it a fact, doesn't make it true. No matter what, you girls are people the same as anybody." he affirmed, rubbing Rose on the head and patting Serenity's shoulder. "Got it?" he asked, the girls showing small smiles and nodding. Trotting along, eventually the group finally came to the last stretch of their journey, seeing the city glowing in the now starlit distance before them. "There it is girls..." Chris muttered. "It's really bright up ahead." Rose added, squinting at the brightness. "Back to humans..." Serenity chimed in, albeit in a hushed tone. "Hey..." Chris scowled. "I know, focus on fun." she nodded. "It's a relief in its own way, being back in civilization." Alicia sighed. "Though I do hope they're more courteous than those little..." Alicia paused, noticing Chris's scowl. "Er, that is, I just hope they have better mannerisms." she finished, clearing her throat nervously. Making their way out of the remnants of the forest, Chris suddenly felt a familiar chill run up his spine, causing him to shudder before halting the carriage. "What wrong now?" Serenity asked. "N-Nothing." he shook his head before looking around. "Mmm..." he muttered, the girls looking at him curiously before he stood and climbed out of the drivers seat. "What are you up to?" Alicia questioned, watching him through the windows as he made his way to their storage, squatting and opening the door before rummaging within. Standing together at the side of the seat, Serenity and Rose poked their heads out from the side of the carriage and watched until he finally pulled out another bag of puffs. "You have MORE?!" Serenity asked. "I want some!!" Rose grinned excitedly. "Sorry, this one isn't for you." Chris smirked. "You mean YOU'RE going to eat them? I thought they sickened you?" Alicia point out. "They do, these aren't for me either." he explained before locking their storage and backing away from the carriage. Taking a moment to look around, he called out toward the trees, the girls tilting their heads as he told something it was safe to come out. Suddenly, the girls jolt when snow started swirling up in front of him, and next thing they knew Froslass appeared before Chris, looking up at him with a small and silent smile causing the girls eyes to widen. 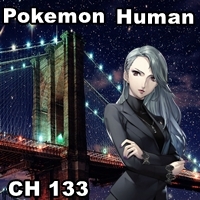 "That's the Pokemon all the humans here like so much..." Rose muttered. "Thanks again for guiding me to your cave. It's not much, but please..." he bowed, holding the Pokepuff's out to the spirit. "Thank you for taking care of us too... I'd bet it's thanks to you the weather was so clear during our trip through the mountains." he added as the spirit curiously looked at the bag and reached out, taking it from Chris and looking within as he raised up. "I'm sorry again for what happened to your shrine too... You do a lot for the people who come through the border, protecting them and helping them along... Please don't hold it against anyone for what happened." he added as Froslass took out a puff and sniffed it before taking a bite, causing her eyes to shoot open in surprise. "Somehow him giving that to her really bug me..." Serenity muttered, showing a jealous scowl. "Control yourself, there's no telling what that spirit could do." Alicia warned with a scowl of her own. "She's so pretty..." Rose added, Serenity looking down at the rabbit before showing another jealous look and grumbling. "So uh, yeah... Thanks, for everything." Chris nodded, giving the Pokemon another bow. Tilting her head, Froslass blinked at him before taking notice of the girls, turning her attention to them as she float up to the carriage, causing them to jolt. "Wh-What want?" Serenity asked as she float up and looked closely into her eyes, then doing the same to Rose making the rabbit sweat while smiling nervously before taking a look at Alicia, the spirits head fazing through the window making the snake jerk back in surprise. "H-H-how do you do...?" she asked. Pulling her head out of the window, the spirit looked at the girls again before showing another small yet silent smile and turning away. Hovering toward Chris, she flew past his ear, causing him to jolt as she passed by and vanished the same way she'd arrived, leaving him standing with an "eh?" before turning and looking around. "A-Are you alright?" Alicia called out as he looked at the trees before showing a smirk and nodding. "C-Can we go now?" Rose smiled nervously, slightly unsettled by meeting what was essentially a ghost in the dark as he returning to the carriage. "Come on, you're not scared are you?" he teased, causing the rabbit to scowl as he climbed into the seat between her and Serenity, letting out a sigh before they continued along. "What with way you act?" Serenity asked. "Wadaya mean?" he questioned, giving the Pokemon a curious look. "When that Froslass go away, you have weird look." she point out. "Oh, when she flew past me..." he nodded before facing forward with a smile. "It was real quiet, kinda like a whisper, but..." he paused before showing a grin. "After looking at you girls, she said I was a good man." he revealed. "I guess it just shows in how awesome you girls turned out." he added with a nod, causing them to blink at him before showing smiles of their own. "Still... I think that waste of food." Serenity point out, lamenting the loss of an entire bag full of puffs. "Oh come on, we're at the city! We'll get food soon enough." Chris assured. "Don't worry, she's just jealous." Rose giggled, causing Serenity to scowl. "I not, that just waste. Give good food to stranger." Serenity scowled. "To a pretty stranger..." the rabbit teased. "You push it again." Serenity warned as Chris looked at the two and sighed. Passing through the last of the forest, the group found themselves crossing a massive stone bridge, leading them above a river that separate the city from the base of the mountains. "I'm getting weird flashbacks..." Rose muttered. "Ah, you mean that Magikarp." Chris laughed nervously, the girls looking at one another and doing the same with slight sweat on their faces. "Yeah, that was, uh... Some way to go." he added, scratching his cheek. "At least it was rather filling." Alicia nodded, the group looking back at her. "Wh-What?! I'm trying to be positive!" she panicked. "G-Guess it was." Chris agreed as he and the others face ahead. "I somehow feel kinda bad though, I mean, it literally landed in our frying pan after..." Rose added, pausing while poking her fingers. "After it bash head open... Not think food ever land in hand that way." Serenity finished for the rabbit, the group looking at one another before clearing their throats collectively and looking around with an awkward sensation between them. As they progressed along, the girls found themselves looking along the sides of the bridge while Chris looked around at the sky, each seemingly expecting the same thing to happen again. "...Huh." Serenity muttered. "Fluke..." Rose added. Looking at the two, Chris started snickering causing the girls to jolt and face him. "Wh-What so funny?" Serenity asked. "Looks like we're all thinking the same thing." he point out before he started laughing, the girls looking at one another before joining in. However, it didn't take long for them to remember what it was they were laughing about, causing them to let out an awkward groan before looking around again. Reaching the end of the bridge, they passed beneath a colossal gateway of sorts, the lighting giving it a golden glow with "Welcome To Yulema City" engraved on the arch above as they entered the city limits. Halting the carriage, the group found themselves awestruck by the sudden hustle and bustle before them, with crowds of people making their way about among the various trolleys casually pushing themselves along the city streets. "My word, it's Millennium all over again..." Alicia muttered. "Everything's so... Busy." Rose point out, inching up close to Chris. "They don't call it a city for nothing!" he smirked, Serenity looking around and twitching an eye. "I not think other city was THIS full..." she added. "Well, Yulema is HUGE this time of year for folks all over the world. What with the Aurora Festival happening, it's the place you gotta be!" Chris winked before having Rapidash make his way along the street. "S-So... What's the plan?" Rose asked, holding his arm for security while looking at all the people walking all around them. "Well..." Chris muttered, taking out his Pokedex and giving it a flip. "Let me see here..." he added while the girls noticed people starting to point them out in a familiar manner once more, couples nudging one another as the group trot along. "First off, I think it'd be best to get our roots back in the ground before anything else." he point out, the girls blinking at him. "Is that what you humans call country slang?" Alicia asked. "A-Ah, guess so... Kinda?" Chris laughed nervously. "I mean we need to get settled in, claim a place to stay." he explained. "We know what mean." Serenity waved. "Hope it place not too crowded." she added. "That's gonna be a hard hope to deliver on." Rose smiled with slight sweat on her face. "Not really, I actually have things covered far as a quiet place goes." Chris smirked. "Come again?" Alicia asked, looking at him curiously. "What can I say? I'm a guy that likes to keep himself busy!" he chuckled as a map popped up on his device. "I've planned a few things behind the scenes... Not too far from where we entered the city, they have this huge place set up where folks can rent their own cabins. That way we're right in the center of everything, and we can still enjoy some peace away from the hustle and bustle when we wanna." he smirked. "I knew it'd be a little overwhelming for you girls to be stuck in the middle of so many people again, and keeping Serenity and Rose in mind, I thought the best choice would be somewhere we could call home that would give you girls a break from it all." he nodded. "You girls didn't think I'd just throw you head first into another place like this without making a few considerations did you?" he laughed, Serenity and Rose showing a smile of their own and giving him a nudge. "I've already got our cabin covered actually, we just have to pick up our key." he point out. "My word, when did you have time to set this up? Between our traveling and those constant calls I'm surprised you found any room to squeeze in something like this." Alicia replied. "It wasn't easy, but I managed." Chris nodded as they trot along, with Chris finally taking notice of the crowds around them watching the group pass. "Boy, more people watch the news than I thought." he muttered before giving a wave. "They not just watch news, take look at that." Serenity point out, the group looking at a newsstand nearby with Chris and the girls featured on the front cover of various papers and magazines. "S-Seriously?" he muttered, blinking in surprise. Steering the carriage toward the side of the street, he brought it to a stop before climbing down and asking for one of the newspapers, handing change to the stand owner before returning to the girls. "Wow... Good eye Serenity! I'm impressed!" Chris grinned, the Pokemon blinking at him before smirking. "It thanks to you." she point out. "What's this then?" Alicia asked. "Looks like they've been going into detail on the stuff they covered on TV, and there's a part here that talks about how we were coming to the city..." he revealed while looking the report over. "There's a lot of pictures from our travels... Guess they managed to get a few things from the Millennium news." he added. "You'd kinda think they'd ask US to do all that..." Rose point out. "Guess it does make you feel a little creeped out... That's news for you though. Guess it's how movie stars feel." Chris laughed nervously while looking things over. "This year, Ureaxion hero Chris Nakazaki and his loyal companions are setting off to enjoy the Aurora Festival in our frigid northern territory of Arcticu Valley, a yearly celebration held only in our spectacular Yulema City, a place where faces from all across the globe will be gathering to see the spectacular light shows, enjoy the festivities, and maybe catch a lucky glimpse at the Legendary Pokemon that frequent the event. Keep your eyes peeled, and perhaps you'll be lucky enough to see these iconic faces during your stay!" he read, showing a nervous drop of sweat while the girls looked at one another warily. "That certainly explains all of the looks..." Alicia point out as they noticed the people gathering around them, those that had been looking at the papers and magazines comparing the group to the pictures as their eyes widened. "Due to the news of Mr. Nakazaki and co. attending the event, eager reporters from around the world have been rapidly entering the city in the hopes of being the first to catch the group and obtain that coveted one-on-one time with the man who's caught the eye of the world almost overnight. To those taking part in the Aurora Festival, be sure to give a hearty hello to Mr. Nakazaki and his companions should you cross their path! And in the words of Yulema City's mayor, Mrs. Holly Tides, it's the responsibility of all Yulema citizens in particular to do their part to make this iconic group feel welcome as they go out of their way to enjoy the festivities alongside fellow residents and tourists alike!" Chris read. "I not want human attention..." Serenity grumbled. "W-Well, it's nice to be welcomed." Rose laughed nervously. "They say fame is fleeting... I'm sure it will pass." Alicia shrugged. "With headliners like this in everything it's no wonder we're..." Chris replied, pausing as people around him stared. "U-Um, hi there?" he waved before feeling a tug on his coat, causing him to jolt before looking down with an "eh?" and finding a little boy looking up at him curiously. "Uh oh... Here go again." Serenity muttered. "Y-Yes?" Chris smiled nervously, only to jolt when the boy held up a notepad. Puzzled, he took it and looked it over. "M-My Nana..." the boy stuttered, Chris looking down again. "Sh-She was on that ship you saved... She's coming to spend time with my mama and me during the festival. Would you sign it...?" he asked. "Me? You mean my name?" Chris asked, pointing at himself in surprise causing the boy to nod. "W-Well, uh, I guess so." he smiled, feeling around his coat and pulling out a pin before putting his signature down. "You know, you should ask them for their autographs! They did the most work." Chris point out, smirking at the girls as the boy looked at them curiously. "One sec." Chris winked before climbing into the drivers seat. Taking Serenity's hand, he helped instruct and guide the Pokemon into signing her name, then doing the same with Rose before heading to the carriage door and helping Alicia add hers, their names coming out scribbled but still readable nonetheless. "There we go... Signatures from the whole Nakazaki family!" he grinned, handing the boy back his notepad. Looking at them all, he nodded with a bow before making his way off into the crowd. "So some of the passengers were relatives of folks that live here... Should've expected that." Chris chuckled before climbing back into the carriage, the girls looking at their hands. "What's wrong?" he asked. "It feel so weird to write." Serenity point out. "Yeah, it's kinda funny feeling. Somehow it's embarrassing." Rose laughed nervously. "I do hope it didn't turn out too terribly, vines aren't made for writing like that." Alicia added. "Well, you could've used your hands." Chris reminded. "My kind have a thing against that." the snake scowled. "I've heard Serperior's hate using them even though they've got em', why is that?" he asked. "We just do!" she snapped, making Chris jolt. "S-Sorry." he apologized, making Alicia reel herself back. "No, it's quite alright. I'm not sure myself really... It's a mental thing. I used to ponder the same question myself, then when I evolved my mind just seemed to work this way. It becomes... Wrong? Perhaps indecent somehow? I can't explain it." she point out before apologizing again for the agitated snap. "Huh, evolution makes it wrong? Pokemon really are somethin'." Chris replied, looking up with a curious "huh..." and nodding. "Alright, lets get going." he smirked, pausing when looking at the crowd around them. "E-Excuse us." he laughed nervously, causing the people to separate in front of the carriage allowing them to pass. Moving on, the girls looked back at the crowd staring as they trot off. "Why humans acting this way...? It make me feel really weird." Serenity questioned. "Being popular is grand but, admittedly, not when all one can do is silently gawk at you. Makes you feel as though the questionable type is right behind you." Alicia point out. "It is kinda creepy. Their eyes get all wide and stuff." Rose added. "I think it's because of what we've done. Maybe it's kinda like how those kids back in the village behaved... Some people might not be able to tell if we're good or bad guys, so it makes them surprised and a little nervous at the same time seeing us... I mean, think about it. A guy who messed with the police and lift a ship from the bottom of the ocean? I guess it can be a little scary seein' someone like that." Chris admit with slight sweat on his face. "I actually never thought of it that way until now but... I did say I'd be ready for whatever folks thought of me after what I did. Especially to those guys from the company back on the ship... I might be nightmare fuel to some people, especially kids..." he added, suddenly showing a guilty and self conscious look on his face. "You just do what have to do, that all. To make human talk it take getting rough. Have to beat them to obey." Serenity assured, hitting her palm with her fist and smirking. "Th-That's not really my thing though, you know that." Chris point out. "I know, I know. You spend forever getting sick after what you did, how could not know?" Serenity scowled. "Fun while it lasted though." she added before showing a slightly dark grin. "I... Don't think I like that look..." Chris replied warily, the Pokemon sticking her tongue out as they made their way along. As time passed, despite the constant onlookers around them, the girls couldn't help but find themselves entranced by all the decor covering the buildings and plants throughout the city, everything shimmering with festive lights and garland covering bushes and trees while also lining windows and entire structures. The more they explored, the more they found Yulema City to be heavily inspired by a more renaissance-like design, with every home, store, and other towering structures looking like a work of art all their own. Eventually, they finally reached the cabin resort that stretched out beyond the border of the city, with a large stone wall bordering the entire resort and a gate sealing the entrance. "My, they don't want anybody getting in, do they?" Alicia point out. "It's an exclusive place... It wasn't cheap." Chris laughed nervously. "That's why I chose it though. Nobody can bother us when we don't wanna be bothered. It'll give us a break from all the hustle and bustle. It's like I said, I kept Serenity and Rose in mind." he smiled, looking at the two as they smiled back. "You too of course. Hopefully it'll have enough... Uh... Charm, to suit you too." he nodded, looking back at the snake as she showed a small smirk of her own. Climbing out of the drivers seat, Chris went up to a communicator next to the gate, pressing a call button and waiting as the girls watched, blinking curiously as a small screen flashed on. "Buona sera! This is the Natale Resort, how may we help you signore?" a man asked, adjusting his glasses while looking at Chris. "H-Hello, I'm Nakazaki, Chris Nakazaki. I placed a reservation for a cabin a few days ago." he replied. "Ahh, si si... Identification per favore. You have a Pokedex, si? Just turn it on and hold it up to the scanner." the man instructed before a laser flashed on beneath the communicator. Nodding, Chris flipped open his device before holding it out as instructed, letting the communicator scan his dex before it started letting out noises, confirming his identity. "Bene, bene... It appears everything's in order. Once you pass the gate, come to the main office just beyond the wall. It's impossible to miss. We will give you a card at the reception desk so you can enter the gate and your cabin at will." the man nodded before the communicator flashed off. "He talk weird, remind me of cook human back at mansion..." Serenity point out. "It's not weird at all. Humans speak in all sorts of different languages, the same as Pokemon really. You speak differently based on your species, while we speak differently depending on where we grew up, or depending on what cultures we live in. For humans, how we talk all depends on our surroundings basically. You girls understand my language and speak it so well through telepathy because it's the one you grew up hearing humans speak most on top of your own, so in a way you're the same as us too the way you pick up on how folks talk." Chris explained while looking around. "This place looks like it's more from the eastern continents, so the people that live here probably inherited a lot of stuff from their homelands. Maybe some from the southern continents too..." he added. "Well, shall we be on our way?" Alicia asked, Chris nodding before putting his device away. However, as he began climbing back into the drivers seat, the group started hearing a strange noise coming from the distance. Pausing and looking around, he let out an "eh?" while Rose stood and squint her eyes. "I see something flashing over there." she point out, the group looking toward the opposite side of the carriage. Optional track to LWR - Listen While Reading - Hello Holly! Squinting their eyes as well, after a moment the group found themselves being approached by a swarm of local police cars and motorcycles, their eyes widening as sirens blared and lights flashed as the vehicles arrived and passed by in a parade-like fashion. "D-Did I do something wrong already...?" Chris smiled nervously. "Good heavens..." Alicia added. "It hurts my ears..." Rose whined while covering them. The more police Serenity saw, the more wary and agitated she became, quickly leaping from the drivers seat and standing in front of Chris with her arm out before they noticed the Natale Resort shutting its gate. "Oh dear..." Alicia muttered, Rose climbing down and standing behind Chris, warily clinging to the back of his coat. After a moment, a long limo slowly began to pass before coming to a stop in front of the group, Serenity taking an offensive stance. "H-Hey now, easy." Chris coaxed, putting a hand on her only for the Pokemon to push him back and grunt in agitation tone, keeping him behind her as they heard the limo door open, making Serenity jolt before facing forward. Watching together, the group saw a slender foot step out, the heel clacking on the cobblestone ground before a hand that was just as slender took hold of the top of the door. Blinking curiously, Chris's eyes widened as a woman raised up from the limo, brushing her hair aside with her fingers causing him to blush slightly. "P-Pretty..." he muttered, causing the girls and Serenity to jolt and look at him with a scowl. "I-I said prissy! P-Prissy!" he laughed nervously with his hands up, the girls continuing to give him a suspicious kind of look before they heard the woman's footsteps coming toward them, making Serenity jolt and face her again while several officers stepped off their motorcycles and followed for security. Holding her arm back out, Serenity's expression returned to one of wary agitation from seeing the officers approaching alongside the woman. Next thing they knew, other vehicles began showing up on the scene as well, this time a collection of vans with various news logos making the woman pause and look back as people with cameras and microphones started charging out of them causing her to sigh and shake her head before returning her attention toward the group and approaching once more, officers rushing to form a barrier to keep the oncoming crowds at bay. Finally standing before them, the woman looked at Serenity, the Pokemon glaring back as the woman hovered her gaze along Serenity's arm before looking at Chris, causing him to jolt. "Your Pokemon is very protective of you..." she point out before noticing Rose behind him. "And trusting..." she added, seeing the rabbit clinging to him before looking at the carriage, seeing Alicia within. "Tentative to their needs in an unsuitable environment..." she nodded before showing a smirk. "Very good, the qualities of a trainer are often shown in how their Pokemon behave and the manners in which their needs are met." she added before reaching her hand out. "My name is Holly, Holly Tides, the mayor of Yulema City. It's a pleasure to finally meet you." she smiled. "Uh... Ch-Chris, Chris Nakazaki." he nodded, coaxing Serenity aside just enough to shake the mayors hand, suddenly hearing countless clicks and seeing endless flashes from the cameras around them the moment their hands touched. "Honestly..." Holly muttered, squinting her eyes before smiling again. "If there's a downside to being in this type of career, the media would be it." she laughed. "I-I kinda know the feeling." Chris nodded with a nervous smile of his own. "We caught wind of your arrival through our little grape vine and thought we'd rush over to give you a proper welcoming. Sorry for putting your Pokemon on edge." she apologized. "N-No worries!" Chris assured, coaxing Serenity aside as the Pokemon kept a firm glare on the police, resisting being moved and remaining so close to him there was no space to be seen. "We had quite a few of our own citizens aboard the Guardian, as well as relatives and the like coming to visit for the festival. I can't thank you enough for all that you did on that voyage. This city is indebted to you." she nodded. "N-Not at all. Don't worry about it." Chris assured, waving his hand with slight sweat on his face before reporters suddenly started shouting his name with their mics and notepads out, making him jolt and look around wide eyed as cameras started flashing again. "Keep those people back!" Holly ordered, the officers coaxing and pushing the swarm of people further away. "I do apologize for leading so many right to you. I couldn't resist being a little extravagant in how we arrived. Go big or go home as they say." she explained with a nervous smile of her own. "Not that they let me go many places by myself anyway, another "perk" of the job." she point out. "Well, important people need security." Chris nodded. "So I see." Holly laughed as Serenity nudged her way back in front of him with a wary eye now on the crowd shouting toward him. "S-Serenity! Careful!" Chris complained while stumbling back. "We've had more and more of them showing up over the past day or so. I don't think we've ever had such a turnout from the media before... Kanto, Hoenn... Kalos... Even a few from Alola, and they practically LOATHE the cold, yet here they are." she smirked. "I must say, having you here is certainly going to do wonders for our city, what with it showing up in all the papers and news outlets. I'd wager we'll have a rather large boon in tourism and recognition! Not that we really lacked it before mind you!" she grinned. "A-Anything to help I guess." Chris smiled nervously. "On top of greeting you, I thought it would help to offer a little assistance in keeping those people at bay. My officers can keep an eye on things in the shadows and step up if any trouble comes about from those people. With any luck we'll be able to insure your time here goes smoothly and without interruption." she assured. "I watch just fine, not need." Serenity finally spoke up, causing Holly's eyes to widen for a moment before smiling again. "You are a brilliant one! Telepathy, right? Not bad." she praised causing the Pokemon to scowl. "Not need you." Serenity affirmed. "Hey now, be nice." Chris lectured. "Don't worry, I know all about this one in particular. Our contacts across the sea told us there's a few things to keep an eye on." Holly point out. "We welcome you with open arms, however I must ask that you not do anything to shake up our operations here as you did back in Millennium, and while your efforts on the Guardian did aid the cause for justice, I'll have to ask you to refrain from actions like that as well. Just leave the law, to the law, and all will be well, understood?" she asked. "Y-Yes ma'am." Chris nodded. "About those reporters though..." he added, looking toward the crowd. "You don't think we can keep them at bay?" Holly asked. "It's not that. Um... You see, a lot of em' got in contact with me for interviews, that's why a lot of folks showed up, so, while you're here... Mind if I ask if there's any way you could help set something up so I can kind of... You know, tackle them all at once?" he asked. "Ahh, so you actually WANT to enter the beasts den..." Holly nodded while looking toward the crowd herself. "It shouldn't be too hard... If you like, perhaps you could stop by my office in the Town Hall tomorrow? I could arrange a little something and go over a few ideas with you if you like. It's actually not very far from the resort here." she explained. "Town Hall huh...? Sure, that works." Chris nodded. "Excellent! That will give us a chance to get to know one another better in a more private arrangement." she point out as cameras continued flashing and reporters grew more eager to get Chris's attention. "Y-Yeah, not a good place for conversation." he laughed nervously. "Well then, anytime in the afternoon should be fine. I have a few things to take care of in the early hours so any time after 3pm would be preferred." she suggested. "Sounds fine to me." Chris nodded. "Very good, I look forward to it." Holly nodded back before walking up to the communicator next to the gate, paging the office causing the same man as before to show up. "Si signora Tides?" he asked. "You can let Mr. Nakazaki in now." she instructed, getting another "Si signora." and a bow from the man before the gates started opening. "Thanks for letting me introduce myself, and I'm sorry again about leading these people here. My officers will get things taken care of, but I would ask for your sake to wait a while before leaving the resort until we have everything settled down. Leaving too soon would be like throwing yourself in a butcher shop." she warned. "Y-Yeah, appreciate it." Chris nodded before coaxing Serenity and Rose back toward the drivers seat, lifting the rabbit up before trying to get Serenity to climb in, only for the Pokemon to insist he go first as she kept her arms out with a wary eye on everyone. Once he was safely sitting with Rose, Serenity finally climbed in as well as he took the reins. "I-It was nice meeting you ma'am... Kinda sudden, but nice!" Chris laughed nervously. "You as well. I'll expect you tomorrow." Holly nodded as Rapidash started pulling the carriage through the gate, causing the crowd to shout and push against the officers as the mayor shouted for her enforcement to restrain everyone. "I-I'll talk with all of you soon! It's a promise!" Chris assured, waving at the crowd as they went past the wall and the gate started shutting behind them. Shaking his head, he let out an overwhelmed "whoo..." kind of noise while Serenity sat grumbling with her arms crossed. "That was certainly... Something... I suppose." Alicia spoke up, looking at the crowd through the back window as cameras continued flashing. "That was way too much for me." Rose groaned, rubbing her eyes and blinking from all the flashing. "I didn't expect that myself... At least we made it most of the way without getting swarmed." Chris point out. "Not need stupid humans help. Should have told no and let me take care of." Serenity complained. "We're here to relax and have fun, not go around worrying about who's behind us and trying to attack whoever walks our way." he lectured. "I still mad. One good attack and they go away, they get picture." she affirmed. "I don't want them to go away! I just want to have our space respected!" Chris tried to explain, the Pokemon looking away and grumbling again causing him to sigh. "Just forget about it for now. We're here, we're safe, and there's a nice, big wall to give you girls all the space you need." he assured as they made their way toward the resorts office, following nearby signs. Most recently, Chris had become a criminal during his efforts to free Lopunny from her former trainer altogether, having forced his way into the city's top prison the man was held within and taking not only the Pokeball belonging to Lopunny, but taking all of his other Pokeballs to free the Pokemon within them as well only to discover the mans father was the Warden of that very prison in the process. Finding himself intrigued by Chris, the Warden gave him a chance to avoid prison time by revealing he was also the city's Gym Leader, striking a deal that if he won he would be pardoned of all crimes and allowed to leave the city. Before the day of the match arrived, Chris found himself becoming close friends with the city's top scientist, Professor Rose, and together along with her staff they managed to complete Project Celebi, a device that could transplant sight between two people without surgery! The project turned out to be a success after Chris offered the sight in his left eye to give Gardevoir the ability to see the world for the first time via her right! After regaining his freedom, Chris and the girls spent a week at Arthur and Angela's massive manor on the outskirts of the city, followed by a first class cruise aboard the brand new S.S. Guardian, the first pollutant free ship in the world relying solely on solar power reservoirs! With its maiden voyage celebrating the 100th anniversary of the loss of the R.M.S. Arceanic, fate played its hand along their way to Arcticu Valley and led the Guardian to the exact location of the ships wreckage. Attacked by a massive Gyarados swarm, the Guardian was sank to the bottom of the sea, protected by a barrier crafted by Serenity which resulted in the discovery of the remains of the legendary ship. Great chapter, I like how it shows us the increasing amount of attention they get, and how they are now the cause of much talk all over the city. I wonder how they will manage going somewhere without being stalked or stared at. And if they can enjoy the Aurora Festival this way. It has to start somewhere and the sooner the better. Holly Tides… you said in a journal that deciding on this name kept you from progressing this chapter. Is there a bigger meaning behind her name? So their minds changed a bit after all with every evolution. But I’m glad Alicia (and the others probably too) are noticing these subtle changes themselves and can handle it properly. They don’t just change their mind without noticing it. That means my comment on chapter 122, the part about Alicia stays true. She realizes that she didn’t lose her personality and I’m glad it turned out this way. Because, in some cases Pokemon do change their personality for the better or worse (Ash’s Charizard for example). Wow, many many chapters ago I once asked in a comment (or pm?) about how you imagine how different human languages work with Pokemon. And now I finally got an answer. (At least it answered most of it) I’m not complaining here, it is just a confirmation, that the loads of questions I have and ask will eventually be answered in my favorite way: throughout the story! This answer follows a simple logic and I don’t know why I didn’t consider it from the beginning. What still remains unanswered is what you think about the different Pokemon names in the different languages, although as Chris said “You speak differently based on your species”, means for me in this world they really just got their English names and the other names Nintendo made for the different languages are just linguistic and cultural adjustments. Can't remember what that track was. Now days when YouTube womps a video all the info is gone as well.